Restructuring Jaguar Land Rover production will be a challenge for Forster. India's Tata Motors named former General Motors Co. executive Carl-Peter Forster as group CEO. 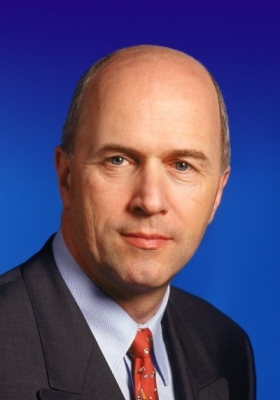 Forster, 55, will be responsible for the company's global operations including the automaker's Jaguar Land Rover unit. Forster stepped down as GM Europe president and Opel/Vauxhall chairman last November after criticizing GM for reversing a decision to sell Opel to Canadian supplier Magna International Inc. and Russian partner Sberbank. Ratan Tata, chairman of the Indian automaker, said in a statement that Forster's appointment would greatly help the company's ambition to become "a truly international company." Forster, the London-born son of a German diplomat, has 24 years experience in the auto industry. Before joining GM in 2001, he worked for BMW for 13 years, including a stint as the German premium carmaker's head of manufacturing. One of Forster's biggest challenges will be to oversee the restructuring of Jaguar Land Rover. Since Tata bought Jaguar Land Rover from Ford Motor Co. in 2008 for $2.3 billion, the two luxury British brands have been hit hard by the global collapse in car sales. Tata's plans to close one of Jaguar Land Rover's three UK plants have met with opposition from unions. Former Jaguar Land Rover CEO David Smith stepped down unexpectedly last month. Tata said it still plans to name a successor to Smith. Forster succeeds Ravi Kant, who previously oversaw Tata Motors' global and domestic operations and last year became to non-executive vice chairman of the company.